Weighty Matters: When will the Canadian Diabetes Association embrace low-carb? When will the Canadian Diabetes Association embrace low-carb? It's strange that our official diabetic charity has traditionally shunned the diet that was once the cornerstone of diabetic treatment - low carb. Stranger still that despite reams of evidence that link processed carbohydrates to type 2 diabetes, and the virtually complete exoneration of saturated fat as evil, that the Canadian Diabetes Association still promotes low-fat, high carb diets to diabetics. Diabetes UK and the American Diabetes Association have both put out official position pieces that, albeit cautiously, support low-carb diets for diabetics. 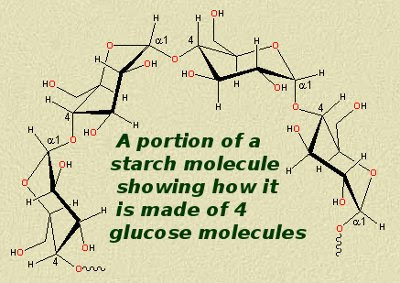 "Starchy foods are broken down into glucose that your body needs for energy"
Um, psssst, CDA, ummm, isn't diabetes a disease where the body's not particularly good at handling boluses of glucose? Oh, and have you seen the size of most plates out there? Do you really think that telling people to fill a quarter of their plates with potatoes, pasta or rice is a good idea? Now I'm not suggesting that the only diet endorsed by the CDA be low-carb. On the other hand, I am suggesting that the CDA make it a top priority to change their dietary recommendations to reflect our current understanding of the impact of diet on diabetes. Their recommendations need to very clearly and unequivocally reflect the importance of carbohydrate quality, the current thinking on the not-evil status of saturated fat, and the not so scary option of a low carb diet. If they did that then maybe, just maybe, our hospitals will stop serving white flour pancakes, syrup, Rice Krisipies and fruit juice to diabetics for breakfast. Sliding scale insulin shouldn't need to be an automatic consideration for every admitted diabetic patient.